India’s former cricketer Virender Sehwag, in his playing days, made a formidable opening combination with the legendary Sachin Tendulkar. 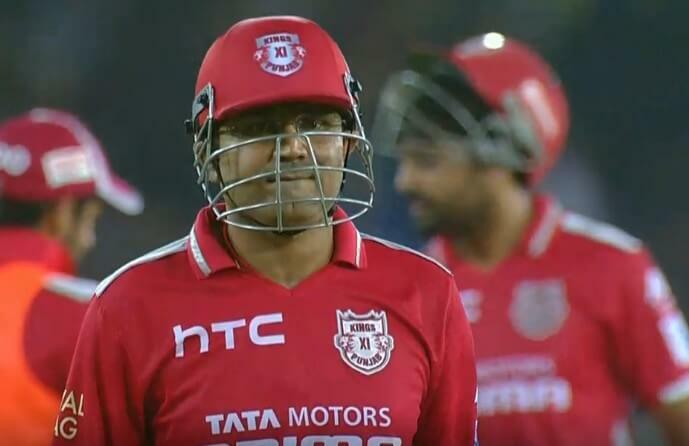 Sehwag has expressed his desire that if he gets a chance to change his name, he would love to be called with the name of his opening partner. The duo batted together at the top in the ODI format for a number of years and watching them bat together was a treat to watch. Where Tendulkar would maintain his calm and composed demeanor, Sehwag would go for an all-out attack on the opposition from the outset. Sehwag has narrated plenty of stories involving him and the Master Blaster. The two shared a great bond in the middle of the pitch and are still pretty close off the field. Sehwag mentioned while talking on the show ‘Cricket Ki Baat’ that he is nowhere close to the legend yet if he gets the opportunity, he would want to achieve the stature of the God of cricket. “I would want to change my name to Sachin Tendulkar if I could do it. He has tons of records, I am not even close to him. He is called as the “God” and who would not want to be a God in this mortal world,” Sehwag said. Post Sachin Tendulkar’s retirement, there was a belief that no one can get even close to his daunting records but the current Indian skipper Virat Kohli, with his blistering rate of scoring runs, has brought the arguments of him matching the great man’s record. The 28-year-old has notched up 30 ODI centuries already and has good 10 years of cricket left in him to overtake Tendulkar’s 49 centuries. Virender Sehwag reckons that if there is anyone who can break Tendulkar’s record, it’s Kohli. “We never thought that there would be another Sachin Tendulkar. But Virat Kohli has changed this mindset. I think Virat can surpass Tendulkar’s records,” he added.